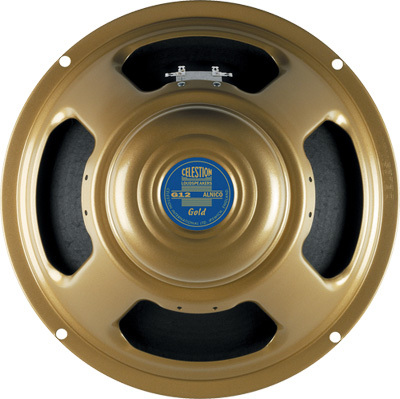 Building on the platform of the Blue, the Gold is a higher-powered, Alnico-magnet speaker that recreates the unmistakable sonic signature of a ‘well played-in’ original. Over time, the high frequencies of a Blue soften and become less chalky as the cone becomes more flexible – a much sought after characteristic that the Gold exhibits straight out of the box. Also present in the Gold sound from the outset is an added warmth and complexity in the midrange which, coupled with the classic Alnico qualities of a laid-back attack, rounded low end and brilliant bell-like highs, deliver huge rhythm voicings and saturated vocal lead tones.